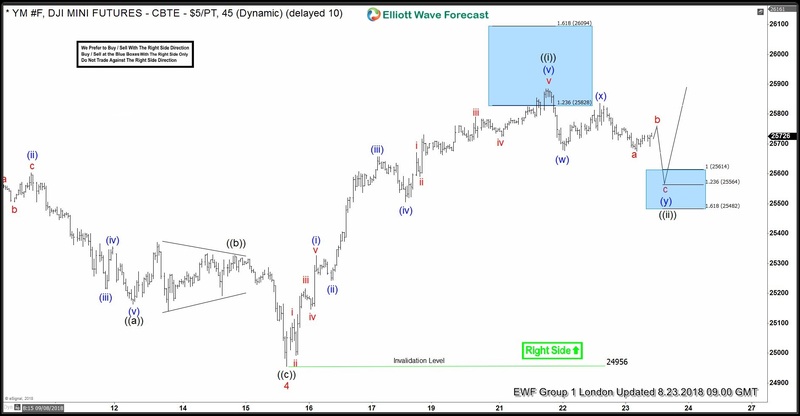 One of our goals at Elliottwave-Forecast is to figure out the best way to present Elliott Wave charts in such a way that non-technical traders can easily understand our view and know what they need to do. To this end, we implement the Right Side Tag and Blue Boxes on our charts as visual aids to traders. We believe we have a great system which complement Elliott Wave and improve the objectivity in the analysis. Combined with these two features on our charts, traders can benefit our analysis without having to understand a lot of the details behind the technical charts. 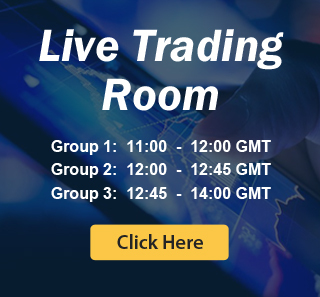 Pivot system: This is our proprietary system which uses a combination of distribution and some momentum indicators such as RSI, CCI, and Stochastic RSI to determine the cycle position of an instrument. The pivot system can tell us ahead of time whether a cycle has ended. Correlation: We strongly believe in the One Market Theory. We believe we shouldn’t forecast an instrument in isolation. Knowing the overall market and different asset classes are important to forecast an instrument more accurately. Sequence: We develop our unique sequence technique with corrective sequence unfolding in 3, 7, 11 swing and motive sequence unfolding in 5, 9, 13 swing. The sequence tool helps us to know the right side of the market. 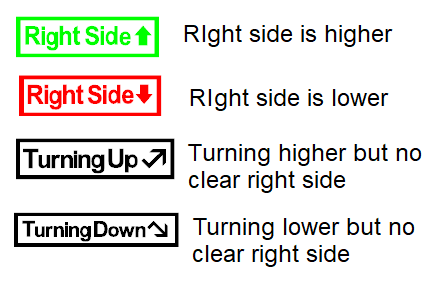 The Right Side stamp makes it very clear and easy for traders to execute trade based on our charts. Traders should only buy the dips when the chart shows the right side is higher in green. Traders should not try to sell any pullback even if our chart is calling for it when the right side is higher. Conversely, when the chart shows the right side is lower in red, traders should only attempt to sell rallies. If the right side tag is black in color, this means the right side is not clear. This can be because the instrument is trading sideways or in a choppy manner. The blue box is a high frequency inflection area in which the instrument could start turning the other way. It’s the area in which traders can attempt to enter the market in the direction of the right side stamp. For example, if the right side stamp is higher, then traders can attempt to buy pullback in the blue box. For those who would like to know the technical background behind the blue box, it’s based on 100% – 161.8% Fibonacci extension in 3, 7, or 11 swing corrective sequence. However, traders do not need to understand how the blue box is generated in order to trade our charts properly. The blue box is simply the area that traders can execute the trade. Let’s use an example on how traders can use the two features in our charts. Please note that these charts are not the latest charts and already outdated. However, they serve as an example on how to trade our charts. 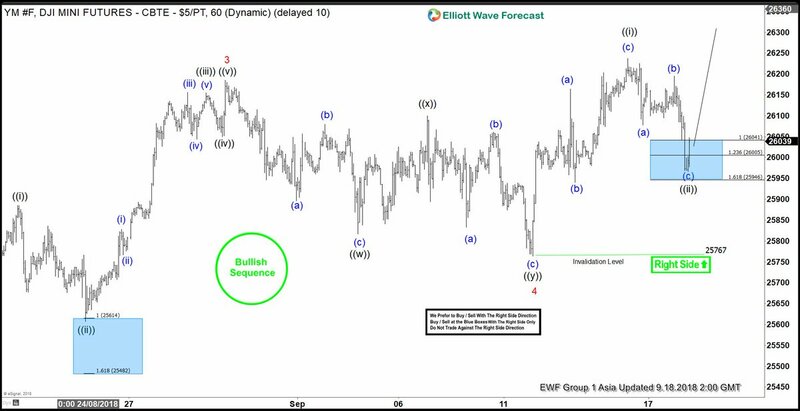 Above shows 1 hour chart of Dow Futures (YM_F) per August 23, 2018. The chart shows a clear “Right Side Higher” stamp with invalidation level of 24956. This means traders should not try to sell the Index even if it can extend lower a little bit more. Traders need to buy the dips instead and the blue box is the area in which the turn higher can happen. Thus, traders can look to buy the pullback at 25482 – 25614 (blue box). 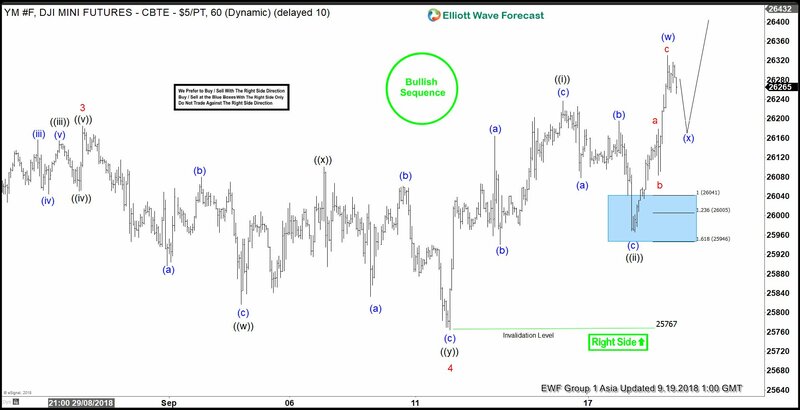 Traders need to decide themselves the exact level to buy, but we present the area in which we believe pair has a high chance of at least turning higher in 3 waves. Traders also still need to calculate position size carefully when entering into trade in blue box with stop loss below the lower end of the blue box and risk is limited to maximum 2% of capital. The Index again rallies to new high upon reaching the blue box with Right Side higher. Traders who bought at the blue box therefore already have a risk free trade (stop at break even). Traders will have at least two chances to buy the dips using our charts.